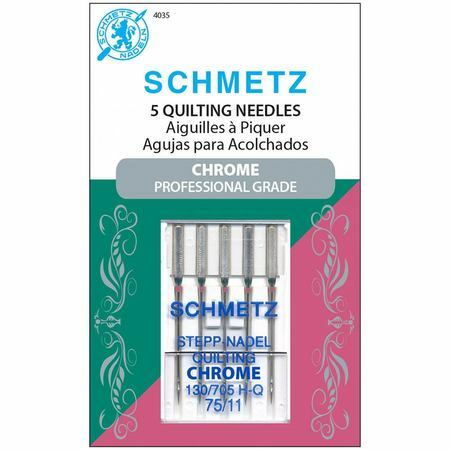 Schmetz Chrome Professional Grade needles are made for Sewists, Quilters, and Embroidery Enthusiasts who are sewing faster and more intensely than ever before. 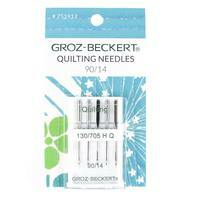 Schmetz quilting needles have are specifically designed for machine piecing and quilting. The special tapered design allows for trouble free fabric penetration and helps eliminate skipped stitches. 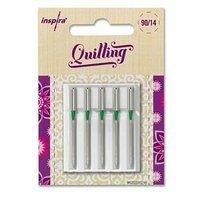 These needles will work all household sewing machine brands and types for which needles with a flat shank are required. Most Schmetz needles include two color-coded bands just below the shank. The top color code indicates the type of needle and the lower band indicates the size. 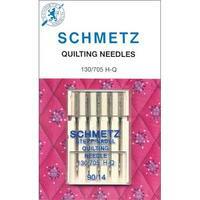 Schmetz Quilting Needles will have a green color code on the top band. The lower color band on these needles will be different for each size. 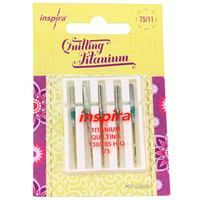 Five (5) needles per card. Needle System 130/705HQ.